I love Japan and I have lost count of how many times I have been there. This year was in Japan twice; Tokyo during Spring and Osaka during Autumn maybe we are going to Hakaido in Winter. I love everything about Japan, the food, people, places, culture, fashion and also cosmetics. Japan never fails to amaze me every time. Well, can you spot that I am wearing a Japanese watch too, it’s The Kawaii, Fun and Colourful watch from Appetime Japan. Alright, back to Appetime was born in 2000. 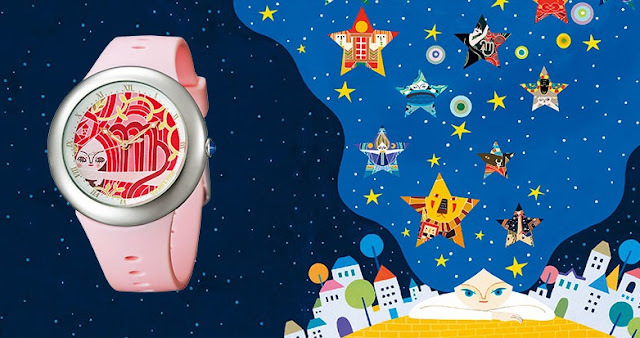 It is a casual, kawaii, fun and colourful watches that made in Japan. Appetime is the combination from 2 words Appetite + Time which means the watches will make our days happy, lively and young when wearing them. The brand has released collections every season with unique concepts including food, travel and animals. The collections available are Smoothie, AME, PIPS Metal, PIPS Sweets, PIPS Fruits, Marine, Marine Mini, Sparkling, Horoscope and Kokage. The Smoothie Collection is inspired by fresh and healthy smoothie. Featuring a dial that depicting the thick texture of smoothie, colorful Luminova and available in 7 pop colours representing the nutritional elements. Its comfortable fit, tasty looking colour combinations, Luminova coating indexes and calendar date is included. The AME Collection was inspired by AME (Japanese candy). 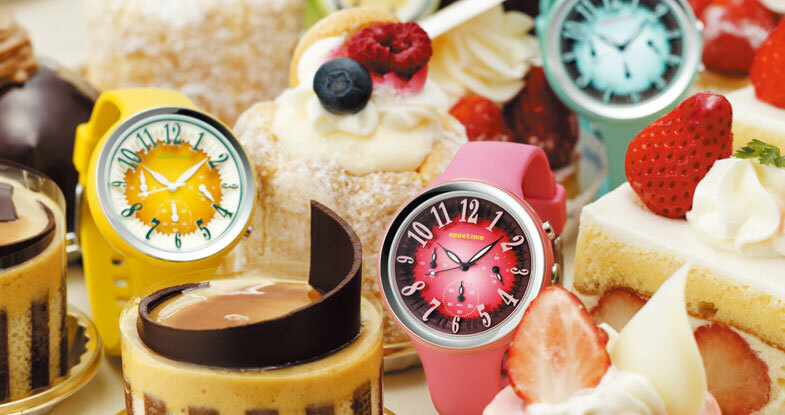 It’s with a glossy texture with a bold thick glass and enamel finished strap which reminds us the sweet candy. Also, the delicate color of the dial plates hints us the sweet flavors. 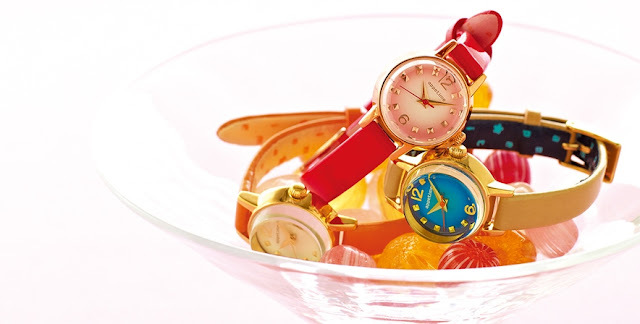 The PIPS Metal Collection models are bracelet-type watches which feature small cases and simple metal bands, plus brightly colored, radially gradated dials suggestive of tasty fruits. The watches will bear fruit motifs arranged naturally in simple designs, including dial coloring that looks good enough to eat – sour-sweet lime, blood orange, etc. The watch with crystal and a Swarovski crystal at the 4 o’clock position that suggest the overflowing of juices of fruits, hour markers like tiny pips, and more. Designed by sticking to the concept of “cute & elegant,” the watches go well with a wide range of outfits and can be worn for both work and play. The PIPS Sweets Collection is inspired by cakes and the goodies display in bakery showcase. It comes with 16 varieties of sweets including Orange Peel Chocolate and Dark Cherry Mousse. There are two models available, the larger one with chronograph function and the mini size that both it’s smaller and cute. Both fit comfortably on the wrist. 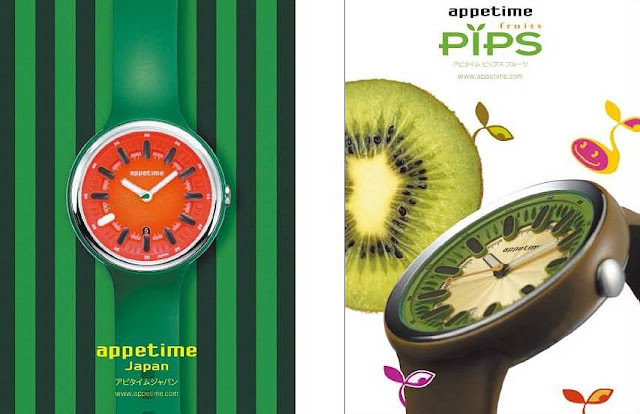 The PIPS Fruits Collection inspired by the essence of fresh fruits such as kiwi, watermelon, banana and etc. 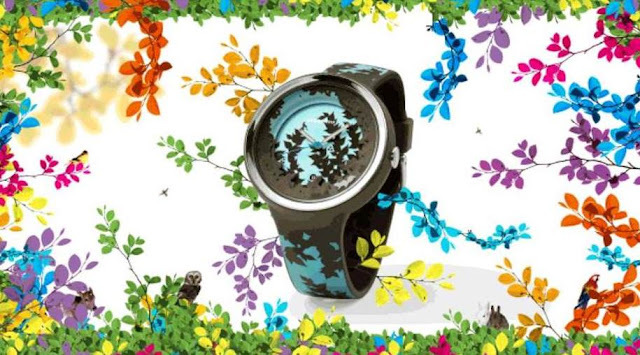 With ripped appeal from glazy Luminova, motif from seeds and 3 dimensional faces delicious watch. The Marine Collection is inspired by the divers’ watch which can be used for various outdoor activities like at the beach and sea. It has eye-catching large case enveloped by a soft silicone strap and a sporty diver look bezel with an easy to read face and comfortable fit. There are 8 colours available all inspired by the ocean and nature tropical islands such as Mangrove green and Laguna beach light blue. The Marine Mini Collection are smaller with more pop colours and fashionable cute designs. It has a rotating bezel, an anchor mark at 12 o’clock position and visible dot hour markers. Available in 7 colours symbolizes the 7 Hawaiian Islands; Ouhu Island in Yellow; Maui Islang in Pink; Kauai Island in Purple; Niihau Island in White; Lanai Island in Orange; Kahoolawe Island in Gray and Hawaii Island in Red. The Sparkling Collection is with dots the bursting bubbles of fresh, sweet and tangy carbonated drinks. There are 2 models available the larger model slightly smaller than men’s watch and comes with a cute date calendar. The Horoscope Collection collaborates with Japanese talented illustrator, Mai Ohno. She created in a narrative and fanciful fashion like a piece of artwork. She also added the Swarovski crystals in the lucky colours of each horoscope sign on the crown. This collection is perfect for birthday gifts. The Kokage Collection is inspired by the nature “Shade of a tree” an upward-looking landscape motif, in the shade of a forest against the sky. The new 5 models are designed featuring nature and scenery from a bird’s-eye view. Case, faces and bands together express the shade of a tree and the color of the sky in a whole-watch, integrated design. The delicate overlapping of trees, leaves, squirrels, etc., is manifested through the use of shades of color, light and darkness, and three-dimensional forms. Appetime Collections were simply amazing as they have different designs for all styles, fashion & ages! 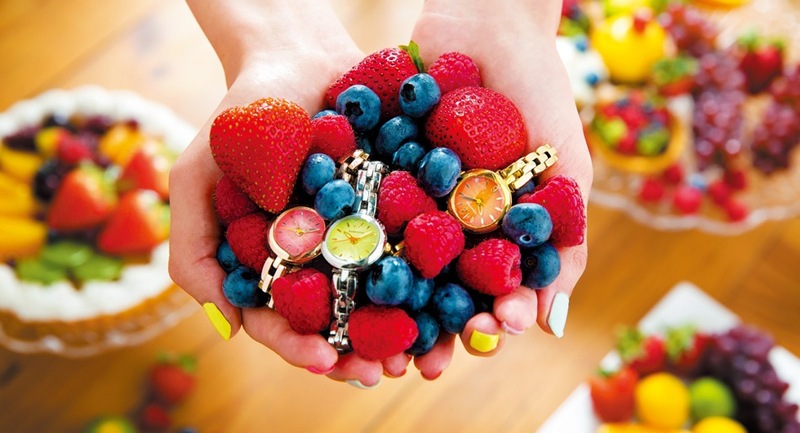 i love how they pair the watch with food...so cute.. The designs are so cute especially the Kokage! Their watches shouts out my name so well, wish i could own one of these beautiful watches someday!